The benefits are eating fruit are numerous. Fruit is one of the healthiest and natural foods you can eat. They’re packed full of vitamins minerals and antioxidants, and they taste fantastic too. 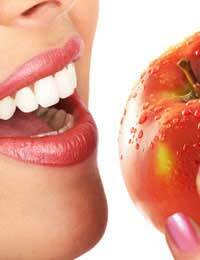 Health experts recommend that we eat at least five pieces of fruit or vegetables each day. The fruit can be dried or bottled, though to receive the most nutrition you should eat it freshly picked. Fruit can also play a part in our mental health. Studies have shown that a regular intake of fruit can reduce the risk of developing panic attacks, mood swings, anxiety and depression. Chemical preservatives found in many processed foods and meat is increasingly thought to contribute to violent behaviour and poor concentration. A balanced diet that includes plenty of fruit will help our brains function better and keep us focussed and alert. Eating fruit seasonally has added benefits and will ensure you get the right mix of nutrients that nature intended for us. Food that is available out of season has either been stored for a long time or flown thousands of miles to reach the supermarket shelves, and so their nutrient content is reduced by the time you eat it. To gain the best possible benefits from fruit, it’s important to eat a wide range of them. Typically, fruits of a certain colour denote a certain nutrient make-up. Organic fruit contains, on average, 50% more vitamins, minerals, enzymes and other micro-nutrients than non-organic fruit. You can also guarantee that you won’t be consuming any genetically modified (GM) food by eating organic food, and it’s better for wildlife and the environment too. Whether you eat fruit for taste, or health reasons, the benefits are undisputed. Not only does fruit taste fantastic, it can help prevent a myriad of diseases, keep your brain alert and functioning normally, and even help you lose weight.